This sharing of bread and wine goes by many names within the Christian tradition: the Lord’s Supper, the Last Supper, Holy Eucharist, Holy Communion, the Mass. We bless this holy meal and believe that Christ is surely present when we receive and share it together. You may participate by receiving both the bread and wine, or you may choose to have only the bread. If you desire not to share the bread and wine, you may simply place your hands over your heart, and the minister will pray for God’s blessing for you. All persons are invited to receive communion at all of our services, regardless of denominational affiliation or lack thereof. We are proud of our music program and Christ Church! Sharing our musical talents with others during worship is an offering to God. Music of all periods is offered and the music selections are carefully chosen. Our organist and our choir director and members work hard to bring us music to enjoy as both listeners and participants. Our choir has a long tradition of excellent music, fellowship, camaraderie, and the joy of ministering to the church every week in a group setting where all contribute in presenting wonderful musical. Regardless of your level of musical experience, we invite you to come join us for weekly music-making and be edified in the joy of sharing your talent with others in a comfortable setting. It is also a lot of fun! The Choir is led by organist/choirmaster Yun Kim . Rehearsals are held each Wednesday evenings from Labor Day through Trinity Sunday from 7:30pm to 9:00pm in the Burning Bush Room, which is in the lower level of the church. Vocal and instrumental soloists are featured throughout the year. We thank the Lord for the abundance of talented people in our parish and beyond who are gladly willing to serve in this capacity. If you are interested in offering your musical gifts in worship, please speak with Yun Kim or send Yun an email about how you would like to share your talents during our worship services. Children are always encouraged to participate in musical activities, and occasionally sing solos and play instruments. They join the adult choir for festival services. Guest musicians are frequently invited to play. In the past, we have had the pleasure of harp, string quartet, guitar, bagpipes, accordion, cello, trumpet, and a wide variety of vocalists to enhance the worship experience. We traditionally have brass and timpani for our festive Easter service. If you would like to help the music ministry through sponsoring of guest musicians, please send Yun Kim an email. Christ Episcopal Church is home to one of the finest pipe organs in the Midwest! Our beautiful instrument sings into one of the premiere acoustical settings for music in the area, and may be heard every Sunday supporting our congregation in worship and at special musical events throughout the year. The first organ installed in our current sanctuary was built by the Wirsching Organ Company of Salem, Ohio in 1890. This instrument was replaced around 1905 by the Hutchings-Votey Organ Company of Boston, which was one of the finest organ builders of that period. However, the ravages of the 1913 flood ultimately necessitated a rebuilding project completed by the M. P. Möller Organ Company of Hagerstown, Maryland in 1925. At that time, the organ was increased in size to four manuals and 42 ranks, and incorporated several ranks of pipes from the 1905 instrument. The tonal palette of the Möller was of a style that was fashionable for its era, featuring a plethora of 8′ tone and the introduction of a 49-bar harp celeste. In 1967, the decision was made to reverse the nave of Christ Episcopal Church by moving the altar to the north (street) side. As part of this renovation, a new three-manual 58-rank organ of the American Classic tonal style was installed in the new south gallery by the Tellers Organ Company of Erie, Pennsylvania under the supervision of long-time church organist and choirmaster, A. Edward Kerr. He was insistent that the acoustics in the renovated church be sympathetic to good organ and choral music. The practice of retaining elements of previous instruments continued, with the large Swell division of the Tellers organ consisting chiefly of Hutchings-Votey and Möller pipework. organ, which was a task awarded to the craftsmen of the Muller Pipe Organ Company of Croton, Ohio. A new handcrafted three manual drawknob console with solid state controls and MIDI capability was built. The minor restoration work was completed on other components to resolve mechanical problems. All reed stops were replaced or restored. In the Swell chorus, you will find new French style reeds, and the Choir Organ boasts a new Bombarde. Tonal updating was performed to allow the instrument to more effectively accompany the liturgies of the church. Even though the operating systems in the organ now incorporate 21st century technology, every sound the instrument makes still comes from real pipes, some of which are nearly a century old. The result is a sound of timeless grandeur and beauty, preserved for both present and future generations. To gain a deeper appreciation of the skills and talent it takes to play a pipe organ, we have included this video. Along with the wonderful music generated, you’ll see close-ups of the sheet music, keyboard levels, foot pedals, stops, and intense concentration of the organist. Our own Yun Kim has these same gifts, and we are so grateful to have her! One becomes part of the church and the community of faith by being baptized. If you have already been baptized “in the name of the Father, and the Son, and the Holy Spirit,” you are already a member of the church. If you would like to have your membership at Christ Church, please speak to our priest about recording your membership here. We periodically hold newcomer classes to help folk learn more about the faith and the church. People baptized as children or in other Christian traditions can formally affiliate with the Episcopal church by being “confirmed.” In the event that you are coming from another Episcopal Church, a Letter of Transfer can be requested from your former parish. Listening Devices: Portable devices with earphones. Let an Usher know that you need these. 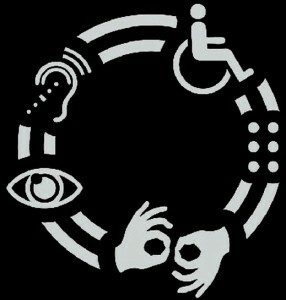 American Sign Language: Most Sundays at 10:30am. Deaf folk who are interested in attending should contact the office during the week prior so that we can insure that an interpreter is present. Wheel Chair Accessibility: Use the main entrance ramp from the First Street side. Restrooms and an elevator have been properly fitted for those using wheelchairs. Gluten-Free Communion Wafers: When at the Altar, simply ask the priest for a gluten-free wafer. We have Nursery Services for newborns, infants, and toddlers up through age three. The Nursery is located upstairs on the second floor. An elevator is available. Nursery Hours from September through May are every first and third Sunday from 9am – noon; other Sundays, 10am – noon. Times are extended when there are special occasions and events. During the summertime, the hours are from 10am – noon. If you have nursery needs at other times, please let us know by contacting the church office. Generally, we do not provide snacks for the children. We ask the parents to provide bottles, milk/formula, baby wipes, and diapers. Our staff will feed infants when instructed to do so by the parents. Snacks for toddlers are also provided by the parents. Parents may request a vibrating pager so that our Nursery Staff can notify them in the event their child needs them. Many parents desire to keep their children with them during worship, and that is just fine with us. We also have rocking chairs just outside of our worship space for your convenience. You can call us at 223-2239 with your questions. Parking is free during church services and church events. You can park your vehicle in the church parking lot without charge during any regularly scheduled services. The entrance of the lot is on First Street. Keep in mind that First Street is a one-way street. If a parking attendant is present and collecting fees when you come to an evening or weekend activity at the church, please tell the attendant that you are going to the church. You will not be charged for parking. Street parking is always free after six on weeknights and on weekends. When visiting the church outside of service times and events, you can obtain a parking pass from the church office. Place the pass on the dashboard of your car. If for some reason, you are given a citation, please call our church office and give us the citation number so we can correct this for you.